Joined by researchers from around the world, the Conflict Culture Research Network supports rigorous, interdisciplinary research that examines how conflict impacts the culture of communities experiencing violence. In terms of my own progress, there are 319 sites for Ireland and the excel workbook contained previously entered data mostly related to coordinates and some other basic categories. While it may not seem difficult, the process of verifying and making minor edits to existing content has been tedious and time consuming. That said, the success of this project and the ultimate outward-facing data sets available to the public are dependent on precision and accuracy. For these reasons, I have been very careful in checking and verifying data. I am happy to report that I have nearly completed my work on the existing data for Ireland. I will then shift to researching and collecting new data to complete the documentation for each and every heritage site and site of historical and cultural significance for Ireland. One cultural heritage site that I found interesting was the De Valera Museum and Bruree Heritage Centre, located just south of the city of Limerick. The De Valera Museum and Bruree Heritage Centre is dedicated to Eamon de Valera, former president of Ireland and one of the country’s most famous statesmen. 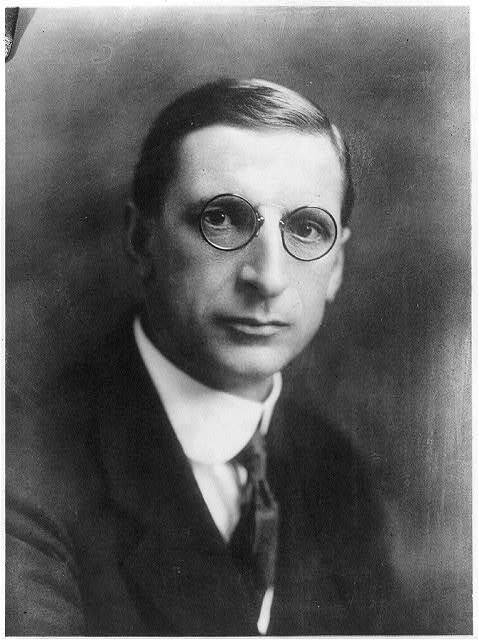 This image of Eamon de Valera in 1922 is from the National Photo Company collection at the Library of Congress. There are no known copyright restrictions on the use of this work. Click here to access the image file and record. Eamon de Valera’s political career spanned over half a century, from 1917 to 1973. He served several terms as the head of government and led the efforts to ratify the Constitution of Ireland. The museum houses a collection of his personal belongings, as well as a wide range of articles which record life in Bruree in the early twentieth century. There is also a visitor centre where Eamonn de Valera grew up. In the village of Bruree, the cottage where he lived has been preserved and the national school he attended houses another museum dedicated to his memory. I look forward to learning more about Ireland in this process and to contributing to this very important project. “De Valera Museum & Bruree Heritage Centre” Visit Ballyhoura (Ballyhoura Failte: Ballyhoura County, Ireland), 2018, http://visitballyhoura.com/index.php/2015/07/22/de-valera-museum-bruree-heritage-centre/. “Eamonn De Valera, head-and-shoulders portrait, facing front,” Library of Congress (LOC Prints and Photographs Division: Washington, D.C.), 1922, http://www.loc.gov/pictures/item/00652544/. “The Ireland That We Dreamed Of” 1943.” Éamon de Valera (1882-1975). RTÉ Archives. March 1943. What a timely module for me as I continue to develop my project, Nashville Sites. The process in thinking about and executing this project mirrors the complexities of doing digital public history specifically tied to a place. In my case — that place is Nashville, Tennessee. Our readings discussed the use of Storyteller (World War One: Love and Sorrow), responsive design (Beyond the Screen), combining oral history and place (Cleveland Historical), and augmented reality (PhillyHistory.org). 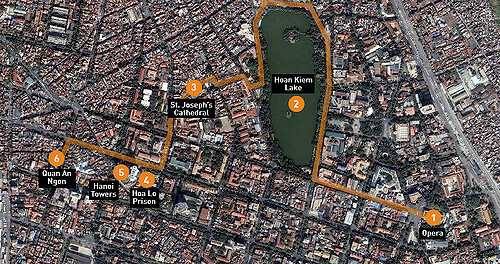 According to Deborah Boyer and Josh Marcus, “Learning about the history of a neighborhood in a classroom is educational, but actually standing in a neighborhood and comparing historic images to the present landscape can inspire students to engage more deeply with the past” (“Implementing Mobile Augmented Reality Applications for Cultural Institutions”). I couldn’t agree more. Speaking of more, my goal for Nashville Sites also includes a public audience in addition to students and scholars. Further sub-dividing, my audience is also composed of Nashville residents as well as a wide range of visitors to the city. The Cleveland Historical site is nearly identical to Spokane History and feature walking tours and geo-spatial mapping. However, they are not as engaging for the mobile user. The text is lengthy and rather than giving the user the opportunity to view the site with a lead-in line to draw them to the longer description, the only option is to view the longer description. It also lacks the navigability and mapping options utilized by the Histories of the National Mall. The PhillyHistory is a much bigger project that involves augmented reality using historic photographs in real-time and place. They began with a small sample size but have now incorporated thousands of images. This project involved a system called Layar. It was interesting to think about the two categories of applications: GPS-based and computer-vision based. As authors Boyer and Marcus note, “GPS-based applications make use of a phone’s GPS and accelerometer, gyroscope, and other technology to determine the location (particularly in urban areas), heading, and direction of the phone.” Most impressive has been the response to PhillyHistory (and this article was published in 2011): the site has 6,400 registered users and regularly receives and average of 13,000 unique visitors per month. These metrics remind me that I need to circle back to the MHC to see just what the stat counters say for the nashville.gov site that lists Nashville’s historical markers. The director told me it had the most traffic, but I need to get firm numbers. World War One: Love and Sorrow is place-based public history but focused on a different type of location. Rather than an urban environment, it seeks to create a unique user experience in Museum Victoria. It does a nice job of storytelling and creating an engaging narrative as users can progress through the museum while also choosing and following one individual’s story (an actual veteran of the war) that features accompanying primary source documents. The project creates a compelling and personal narrative that makes the museum and exhibit more exciting for the patron/user. While a great project, with some elements that made me think about how to create a compelling narrative within my own project, this place-based history is equally, if not more, thematic. The place is the museum, which drives the project technically but not theoretically. The final article “Beyond the Screen,” was so relevant that I read it twice. It really helped inform me in thinking about my own project. I spent quite a bit of time taking notes and internalizing concepts such as graceful degradation, responsive design, progressive enhancements, and the triad: 1- What they want, 2- When they want it, 3- How they want it. John Falk’s description of the five visitor/motivation types was also extremely useful: 1- explorer, 2- experience seeks, 3- recharger, 4- professional/hobbyist, and 5- facilitator. Several museums and projects were referenced as well as new technologies that I’ve since checked out, which include: Foursquare, Field Trip, Google Street, and Google Now. I learned a great deal from this white paper in general, but it also made me conceptualize my own project in a more objective and productive way. For example, I could easily include a guest survey to get feedback, create a journey map, and use Neatline to create a timeline that would create a chronological complement to the place-based history I am trying to create. Hart, T. and Brownbill, J. “World War One: Love and Sorrow – A hybrid exhibition mobile experience.” In Museums and the Web Asia 2014, N. Proctor & R. Cherry (eds). Silver Spring, MD: Museums and the Web. Published September 19, 2014. Baer, Brad, Emily Fry and Daniel Davis. “Beyond the Screen: Creating interactives that are location, time, preference, and skill responsive.” MW2014: Museums and the Web 2014. Published February 1, 2014. Tebeau, Mark. 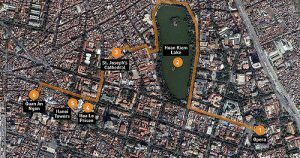 “Listening to the City: Oral History and Place in the Digital Era.” Oral History Review 40.1 (2013): 25-35. 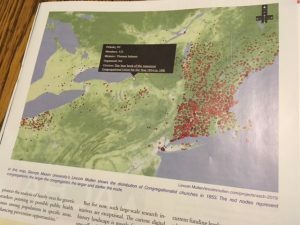 There are many implementations and activities that can connect the public to public history using online digital collections. 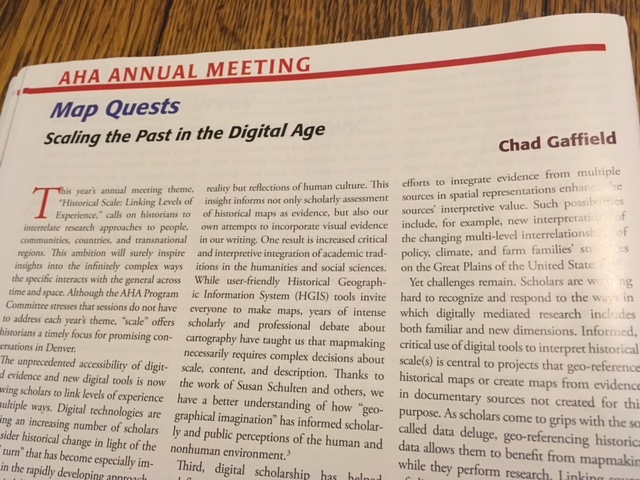 As Sheila A. Brennan and T. Mills Kelly wrote in 2009, the digital humanities are comfortable with the “read-write web.” The Web 2.0 (or 1.5 as they call it) allows public historians to collect and share the stories and narratives of people through their direct participation. Digital history project also benefit from the volunteer efforts of people to identify and enhance their narratives, help to piece together the narratives of others, and provide valuable information and context. A great example of this can be found in the project “Invisible Australians” that used a facial detection script, tagging, photos, and people to analyze the “White Australia Policy.” Other successful crowdsourcing and public history collaborations include Flickr Commons, created as a “forum for institutions to share their rich photographic collections. . . and provide insights into how knowledge, skill, and abilities of librarians, archives, and museums can converge in the Web 2.0 environment to provide collection access to new. . . audiences,” (Smithsonian Team Flickr). The Smithsonian Institute’s collaboration is sharing its rich photo archive with Flickr Commons has created an amazing public-private partnership. In this spirit, the following list includes the kinds of public history implementations and activities that having a basic digital collection enables. Omeka has emerged as the premier platform for open-source digital public history projects. With a variety of templates, plug-ins, and customization options, most of the items on the above list can be achieved using Omeka’s open source web platform. For my own project, I will be able to use information from and about historical markers in Nashville’s downtown core. This includes temporal and geographic locations, marker text, and related primary sources. These resources could ultimately be used to create explorations via walking tours, contests for users, storytelling via historical contextualization, direct user collaboration via tagging or identification, and social media. While many of these goals remain quite distant, the fluid nature of DH and the trajectory of rapidly advancing technology make these goals possible. It remains important to consider several factors that remain critical to the long term usefulness, credibility, and sustainability of digital archives. First archival projects need to be clearly identified. There are many genres and meanings of the word “archive” as noted by Trevor Owen. Ranging from a records or storage management system to what some critics call “artificial collections,” properly defining the mission, scope, and function of an a digital archive is essential (What Do you Mean by Archive?). Likewise the issue of metadata is important. Metadata is not always exciting on its face, but it provides the foundation on which successful digital history projects depend. As the guide for “Describing Metadata” suggests: “Metadata is the glue which links information and data across the world wide web. It is the tool that helps people to discover, manage, describe, preserve and build relationships with and between digital resources” (Describing Metadata). Coupled with high standards of historical scholarship, digital projects can produce and make available large collections that can be used to disseminate and distribute information to the greater public while also providing countless primary sources to current and future historians. As Dan Cohen and Roy Rosenzweig emphasized in Digital History, “Collecting history through digital archives can be far cheaper, larger, more diverse, and more inclusive than traditional archives. This democratization however, does not mean compromising the quality of the historical work.” (Why Collecting History Online is 1.5). Brennan, Sheila A., and T. Mills Kelly. “Why Collecting History Online is Web 1.5” Roy Rosenzweig Center for History and New Media. 2009. Kalfatovic, Martin et al. “Smithsonian Team Flickr: a library, archives, and museums collaboration in web 2.0 space.” Archival Science (October 2009). Owens, Trevor. “What Do You mean by Archive? Genres of Usage for Digital Preservers.” The Signal: Digital Preservation (blog), February 27, 2014. Sherratt, Tim. “It’s All About the Stuff: Collections, Interfaces, Power, and People.” Journal of Digital Humanities 1.1 (Winter 2011). New web-based, open source technology has dramatically shifted the landscape of digital humanities. 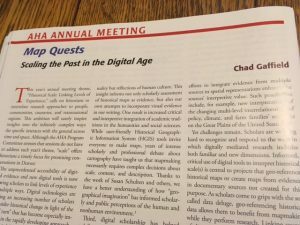 It has affected fields related to digital humanities in two significant ways. For institutions and digital humanists a new quest to create, build, and host project sites has emerged. These digital projects allow users to interact and manipulate data in specific ways that yield almost infinite combinations. For users, these digital projects have laid the groundwork for moving research beyond the archive and to digest and draw conclusions based on datasets and information expressed through new macro-based visuals. The projects/programs reviewed here focus on textual analysis, geospatial mapping, and visual graphing based on large sets of metadata and archival information. Strength/Weakness: The strength of Voyant is the range of text analysis provided: cirrus, networks, graphs, context, verbal patterns. This is also its weakness. At first glance it’s very impressive but when trying to set or manipulate certain features available to the user for the purposes of customization or multiple datasets, the program does not function well. Similarity/Difference: Voyant is similar to CartoDB and Palladio in that they are all free open-source, web-based programs. Voyant and Palladio do not require usernames or passwords. Voyant is different from CartoDB because CartoDB does require a sign-up. Voyant is different from Palladio because Voyant has one main screen with several visual fields, while Palladio only focuses on one type of visual analysis at a time, i.e. maps or graphs. Complement: Voyant provides sophisticated text analysis and CartoDB provides sophisticated geographical analysis. Paired together, they provide unbelievably rich yet simple ways to “see” data relationships. Palladio and Voyant complement one another because they allow users to layer and filter the same data to produce different types of word graphs, clouds, and networks. Strength/Weakness: The strength of CartoDB is the visual clarity and graphic options for its maps. The program’s weakness is that it really only serves to create maps and not graphs or other visual organizers. As a side note, this could just as easily be a strength because it does one thing well. Similarity/Difference: CartoDB is similar to Palladio in that it focuses on one type of visualization, which it does very well. It is different in that its foci are maps=CartoDB and graphs=Palladio. CartoDB is similar to Voyant on a basic level; they both produce visual graphic representations of the relationships within a large set of data. They are different because Voyant attempts to do many things (but not geospatial mapping), while CartoDB focuses on geography and not text. Complement: CartoDB and Voyant complement each other well for the same reasons that they differ (above). Voyant does what CartoDB does not and vice versa, so together they provide an even more comprehensive picture of patterns that can be draw from data. Palladio and CartoDB complement one another because each does a different thing well. I would be tempted to use these two rather than Voyant because they are both user friendly. Strength/Weakness: The strength of Palladio is its relatively easy interface and the ability to drag and organize nodes and lines. The weakness of Palladio is the inability to save projects in formats other than svg or json, and that beyond the visual graphing network there is no additional information. Similarity/Difference: It is similar to CartoDB in that it does have a map function, but Palladio is different because the most effective feature is visual network graphs. Palladio is similar to Voyant in that they both have word links and network features. They are different because Voyant is difficult to use (because of glitches not design), while Palladio is much easier to use. Complement: Palladio complements Voyant by providing more options for word clouds and visual networks. Palladio provides a complement for CartoDB as they are both based on layering datasets manually with selecting different modes and filters. As these open-source programs continued to “hone their skills” and “work out the kinks,” they will no doubt provide continued and enhanced methods of data analysis that can be customized for and by individual interests. Once again, the timing of HIST680 is impeccable. I had just finished reviewing CartoDB when I went to my mailbox and pulled out this month’s Perspectives published by the AHA. The topic of one of the feature articles? You guessed it: digital mapping. This simply reinforces my belief that taking this course and participating in the DH Certificate Program through GMU was not only a good decision, but a great one. Now onto my review…. CartoDB (created by Vizzuality) is an open-source, online, cloud-based software system that is sure to please anyone seeking to visualize and store data using geospatial mapping. Basic usage is free with an account; however, better and expanded options are available with a paid subscription. The company also provides support and custom mapping for an additional fee. The free account is accompanied by 50mb of storage, and data can be collected and directly uploaded from the web and accessed via desktop, laptop, tablet, or smart phone. Part of what makes CartoDB so intuitive is its user-friendly interface. Users can upload files with a simple URL cut/paste or file drag/drop. The program also accepts many geospatial formats, such as excel, text files, GPX, and other types of shapefiles, making CartoDB useful for humanities and STEM-related disciplines alike. Once multiple data layers are uploaded users can create a visualization and manipulate this visualization through several modes: heat, cluster, torque, bubble, simple, and others. Once the visualizations have been organized and customized, CartoDB also provides convenient options to provide links and embed codes to share the map. Finally, CartoDB does a great job answering questions with online tutorials, FAQs, and “tips and tricks.” Google maps first ventured into web-based mapping tools, but CartoDB takes it to a whole new level. 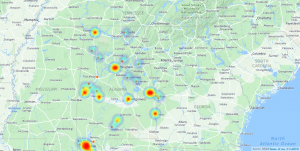 Our activity involved using data from the WPA Slave Narratives, and it was a great hands-on exercise to discern the types of information and conclusions that can be drawn by viewing information geospatially. 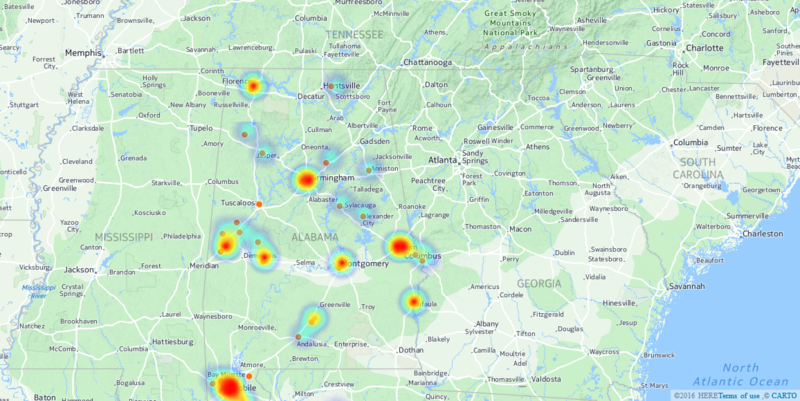 By visualizing the location of interviews it works much like Photogrammar (Module 8), which allows users (teachers and students alike) to see several patterns: travel, chronological, and the geographical concentration of interviews in particular areas of Alabama. While our class activity provided the data, I am anxious to experiment with data that I have collected myself. For example, I am working on images and maps for a recent manuscript, I have the addresses for several colleges and universities in Nashville. I received an email last week from the press that said they were unable to take my historical maps and provided layered data which would show the relationship between the location of institutions of higher education and the geographical trends of urban growth in Nashville from 1865 to 1930. I look forward to using CartoDB in the future.